We love this eco-friendly baby hat from Oii Designs that is not only made from organic cotton, but also it’s reversible too, so you’re getting two hats in one! Now that spring is in full swing, the sun will be shining brightly on your baby’s beautiful face if you don’t protect him from the powerful rays with an eco-friendly hat. With a sweet and uber-trendy nautical theme, this hat is the perfect thing for a day at the park, pool, beach, or even for a day at sea! This fun hat is GOTS certified, fair trade and comes in sizes 0-18 months. We love this eco-friendly baby hat from Oii Designs that is not only made from organic cotton, but also it's reversible too, so you're getting two hats in one! Now that spring is in full swing, the sun will be shining brightly�on your�baby's beautiful face if you don't protect him from the powerful rays with an eco-friendly hat. 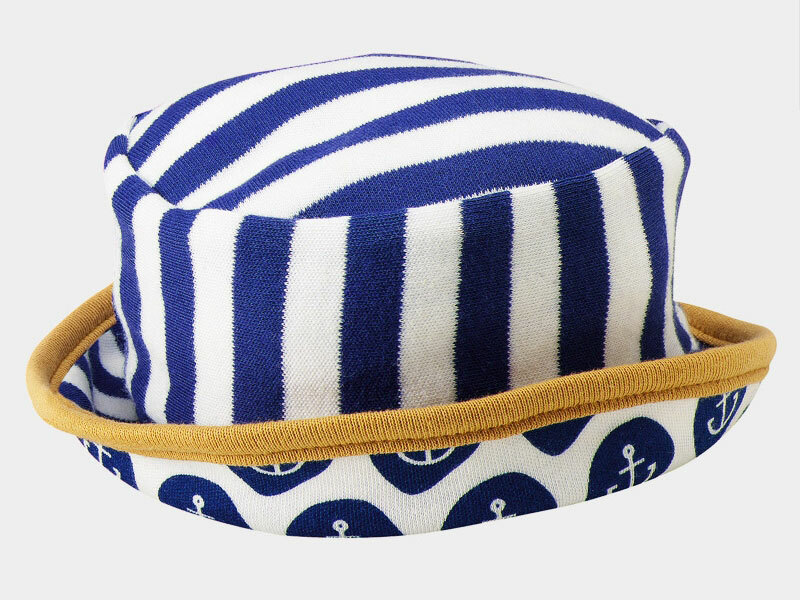 With a sweet and uber-trendy nautical theme, this hat is the perfect thing for a day at the park, pool, beach, or even for a day�at sea! This fun hat is GOTS certified, fair trade and comes in sizes 0-18 months.